Students had a great time learning about Ned’s Mindest Mission! Students will have the opportunity to purchase yo-yos from the front office April 15-19. We had a wonderful time celebrating grandparents and special guests this week. I'd like to personally thank everyone that was able to attend. Our students had a wonderful time and great memories were made! 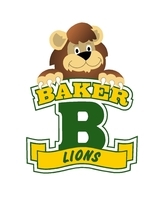 The Baker Elementary Family puts all children first in a safe school setting, by providing opportunities for all students to become responsible learners.